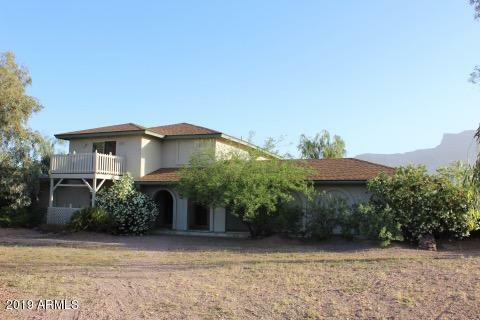 Large 4 bedroom home on 1 acre level lot, completely fenced, lush landscape, 3 RV gates. This home has been well maintained and has a new lower roof and 2 year old upper roof. Very energy efficient with double and triple pane windows and updated high efficiency split A/C system. Beautiful mountain views of the Superstition Mountain and Goldfields.